In 1889 Nikola Tesla met George Westinghouse and they became good friends and partners. 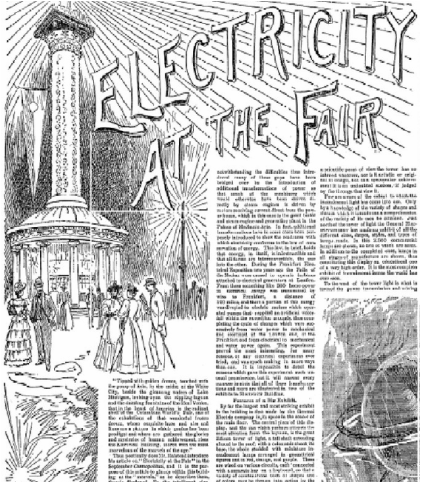 Their EXCHANGE led to Westinghouse Electric Company financially backing Tesla on his greatest achievements like lighting the 1893 Chicago World's Fair and harnessing the power of Niagara Falls in 1896. Without Westinghouse Tesla would not have been so famous. "The relationship between Westinghouse and Tesla, which at times was contentious, is instructive. 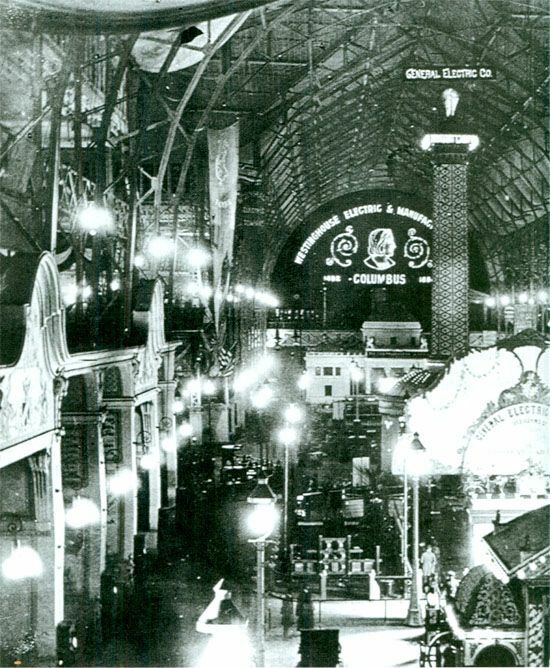 The Westinghouse Company owned the U.S. patents to Tesla's AC polyphase motors and used its control of this technology to land the contract to build and install the generators and motors at the Niagara Falls Power Plant in the 1890s. ​As Carlson explains, 'the successful development of power at Niagara proved to be the turning point for Tesla's polyphase inventions.' It also marked a turning point in the development of the modern world." — Thomas Edison Papers newsletter, October 2013. ​“The relationship between Tesla, the imaginative inventor and Westinghouse, the entrepreneur and capitalist, is a really good fit. Westinghouse bought the patents for Tesla’s polyphase AC motors and agreed to pay him $2.50 per horsepower of electrical capacity sold. Later, when Westinghouse was at the brink of demise after a costly battle for market share, Tesla tore up the contract, sacrificing his plentiful royalties so the patents would remain with Westinghouse."